Discover easy ways to boost your earning potential. Extensive solutions for your Idaho home. Say goodbye to the hassle of rent collection. We handle invoicing and payments each month. We process incoming rent quickly and transfer your payments via ACH deposit. With the right marketing prowess, your home won't stay vacant for long. We use comprehensive marketing and advertising tools to get the word out and find a renter fast. When we receive an application, we use a series of checks and balances to identify red flags. We only place the very best tenants, preventing headaches down the road. Staying on top of a rental property's maintenance needs can quickly become a full-time job. We handle maintenance on your behalf and work with licensed, local vendors. Let us keep tabs on your behalf and never get hit with an unpleasant surprise again. We schedule frequent visits and take the steps to resolve problems when necessary. Tired of ripping your hair out over profit-and-loss statements and complicated tax paperwork? We compile regular financial reports to simplify your accounting. Getting rid of a bad tenant shouldn't feel like mission impossible. If an eviction becomes needed, we'll work with you to remove the renter legally and find a great new tenant. 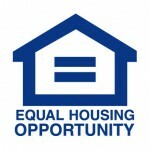 Have questions about fair housing requirements, insurance needs, or local ordinances? A member of our team will happily help answer your questions. Tired of dealing with property managers who take weeks to get back with you? We do things differently. We focus on maintaining effective communication with our clients and tenants alike, and we're always happy to take your call. Don't find yourself running afoul of the law, which can have serious consequences. Let the Nest Idaho Property Management team provide the input and guidance you need to stay compliant. We've worked with countless renters in the Treasure Valley and we know what tenants want to see in a rental property. We use this knowledge to better optimize your home and ultimately, make you more money. While some local property managers are stuck using outdated management tools, we use a cutting-edge suite of technology tools to keep tabs on our homes and cut down on response time. Don't believe us? Simply give us a call to experience the Nest Idaho approach. 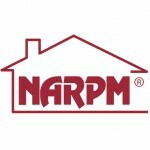 We are friendly and easy to talk to, which isn't so common in the property management industry. We work to maintain healthy relationships with our clients, and we don't use shady accounting methods or hidden fees to pad our margins. Our team treats clients like business partners, and we're not afraid to tackle the hard stuff. When something goes wrong in your rental property, you can't afford to have a shoddy DIY repair. We've built a network of trusted vendors who respond to repair requests rapidly and get the job done right. When it comes to serving property owners in Boise and the Treasure Valley, no other firm can rival the Nest Idaho team. We understand the ins and outs of our market and work around the clock to get you the great results you deserve. 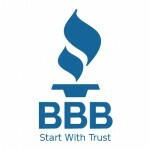 We provide unbeatable support for Boise homeowners. "Cliff Callen is an advocate for his clients and a true friend to all he meets. Every interaction I've had with him has been professional and friendly and I look forward to working with him at every opportunity." 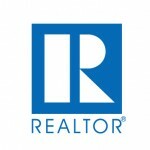 "Cliff is an outstanding Realtor here in the Treasure Valley. If you're looking for someone who puts customer service ahead of just making a sale, he is your guy! His knowledge of the local market is incredible." We know the Treasure Valley. We know the industry. If you're on the hunt for the right property manager in Boise, you know you need more than the cheapest player in town. For you to reap the full benefits of your rental home, you need an experienced partner who will work hard to get you the results your property deserves. At Nest Idaho Property Management, we don't simply check all the boxes and hope for the best. Instead, we create a custom management strategy for every home we represent. Our team is built with the best of the best, and we truly care about our clients. Unlike the big franchise property managers, we're not focused exclusively on numbers. We want to provide the best service possible, and we do that by carefully monitoring the market, paying attention to trends impacting housing prices, and providing expert support for our customers. Isn't it time to experience the Nest Idaho difference for yourself?